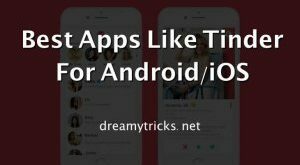 We Dreamy Tricks is back with another informative post to unroot your android phone easily without any hassle. As, recently We have shared how to root android without pc. I know you are a bit confused that What’s need of unrooting android phone again. 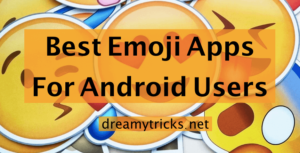 As, there are a lot of best root apps which you can install and run on your android mobile which you can’t run without su permissions. 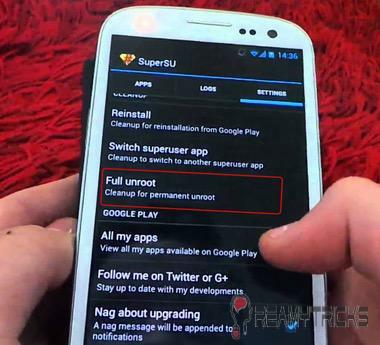 Below, We are listing some of benefits of unrooting your android mobile. No Warranty: If you don’t know that read it carefully. Yea, rooting your android phone kills its warranty. It does not matter whether your phone is one day old or it is a 2 year old android mobile. So, if you are getting some issues in hardware of your smartphone which is covered in warranty. Then, you must unroot your android mobile before going to Service Centre. Lack of Security: Yes! You heard it right. There is lack of security in your rooted android phone as the apps to which you have provided root permissions can read or modify anything including your contacts, mails, files, call logs etc. So, if you are uncomfortable with this then you must consider to unroot your android phone. You can check out best antivirus for android to increase security of your android mobile. Default OS becomes stable: Rooting your android phone sometimes makes it unstable. You may encounter some randoms reboots, random crashes of applications and systems. So, If you are facing such issues then its time to flash stock ROM and unroot it completely. 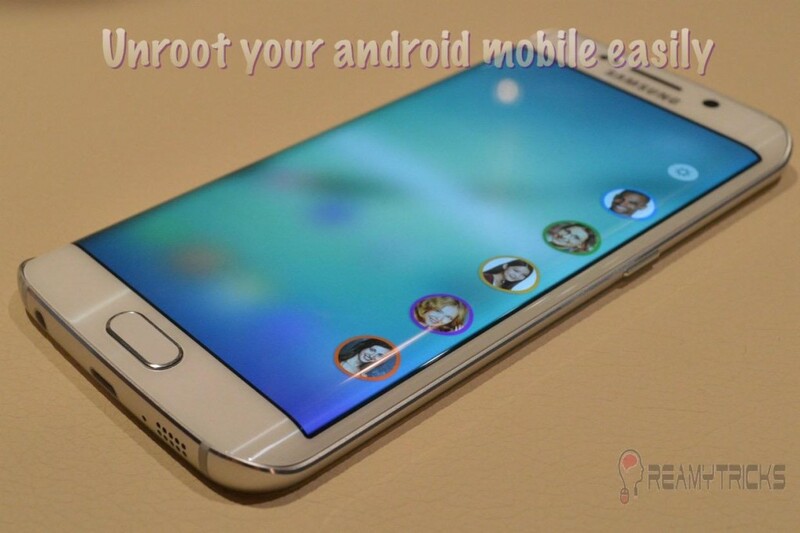 Below, We are sharing best method to unroot android phone easily by one click. First of all, Download and Install SuperSU app from Google Play Store. Go to Settings in SuperSU app. Click on Full Unroot and You are done. Restart your android mobile and Uninstall SuperSU app. Your phone is unrooted successfully now. Looking for apps which can download free music? Check this post on free music downloading apps. Looking for some best android widgets? Check these 5 widgets then. Looking for some of the best android launchers? Check these ultimate list of android launchers. This method is manual method of removing root files(su, busybox etc.). Try this method only, if above method does not work for you. First of install Root Explorer in your mobile from Play Store. Open Root Explorer and Grant root permissions to Root Explorer. Now, follow this path – system -> bin. Now, Find two files – su and busybox, Simply delete both of them. Now, Click back button and find app folder. Just, Delete Superuser.app from there. Now, Restart your android phone and your phone must be rooted now. So it was all about working methods to unroot your android mobile easily. These methods are personally tested by me and will work perfectly. Bookmark this page to get more updates on unrooting your android mobile. Do you use any other method to unroot your android mobile? We would like to listen it in comments. Why you unrooted your android phone? We would like to listen about in comments too.